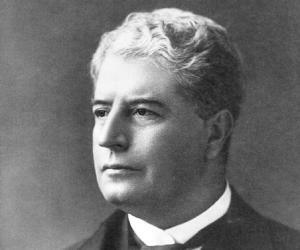 Edmund Barton was born to William and his wife Mary Louise, on January 18, 1849, in the New South Wales’ suburb of Glebe. He pursued his elementary education from the 'Sydney Grammar School' and 'Fort Street High School'. He later attended the 'University of Sydney', where he studied classical literature, and was awarded a medal along with his honours degree. During his time in college, he also showed an interest in rowing and cricket. After completing his studies, Edmund began working as a barrister in 1871. 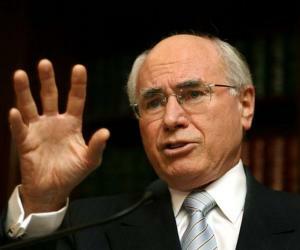 Five years later, he contested for a seat in the Legislative Assembly, belonging to the 'University of Sydney'. He lost the poll, not only then, but also on a second occasion, the following year. In August, 1879, Barton contested once again in the Legislative Assembly, and this time he won the elections. The following year, the Assembly was dissolved, and he was appointed a member of the electoral committee in Wellington, New South Wales. He served on the Wellington committee for two years, before being appointed to the East Sydney electoral district, where he was a member from 1882-87. Around the same time, he also acted as the Legislative Assembly's speaker, becoming the youngest member, at the age of thirty-three, to be appointed in such capacity. In 1884, he began leading the 'University of Sydney Union', as its President. From 1887-89, Edmund became a member of the Legislative Council, and was also made the Attorney-General of the government led by George Dibbs, belonging to the 'Protectionist Party' of Australia. The young politician was a supporter of Australian federation, which aimed at uniting six different colonies into one single commonwealth. Thus in March 1891, Barton attended the 'National Australasian Convention', as an advocate of federal leader Henry Parkes' government. As a delegate of the convention, Edmund insisted that trade in the country be made restriction-free. He also played a major role in writing a constitution that was used as a basis for the one implemented later in the nation. However, his suggestions were not taken seriously by the advocates of protectionism, and the strong-willed political leader decided to step down from the legislative Council. Parkes' government too did not last long, and in 1891, Barton was appointed in-charge of the federal movement by Parkes. Despite his best efforts however, federal resolutions did not get implemented by the government. In December 1893, the political leader had to resign from his post as Attorney-General, when his decision to fight a case against the government along with friend Richard O'Connor, came into light. When the politician contested in the elections held at the Randwick region, in July, 1894, he failed to win. He refrained from contesting again the next year, since he had a large family to provide for. In 1897, he took part once again, this time winning the elections with majority votes. As a member of the 'Constitutional Convention', along with Sir Samuel Griffith, he helped draft a constitution that provided for federal resolutions. In the next few years, he got elected to the legislative Council, and handled bills pertaining to the proposed federation. He also lost the Legislative Assembly elections against fellow politician, Reid. 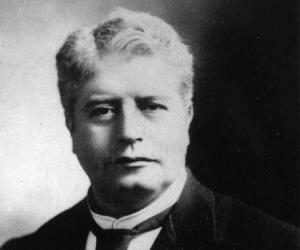 The latter however joined Barton, in 1899, in his campaign for federation of Australia. The same year, Edmund stepped down as leader of the opposition, and was replaced by William Lynn. In 1900, with the goal of making the British government realise the importance of the federation bill, he left the Parliament and went to London with friends Charles Kingston and Alfred Deakin. After a failed attempt by the anti-federal William Lyne to form a new government, Edmund was made the Prime Minister on January 1, 1901. The new Prime Minister's cabinet included great political minds, including Alfred Deakin, James Dickson, Richard O'Connor, and George Turner, amongst others. Sir Edmund's government held the first ever federal poll in March 1901, where the Prime Minister was appointed at the electoral division of Hunter, without a single opposition candidate. As the Prime Minister, he introduced certain reforms, of which some were considered progressive while others were not. He passed the 'Immigration Restriction Act', which gave officials the right to prohibit any one they wanted to from entering Australia. This also formed the basis of the 'White Australia' policy, which only allowed white Europeans to settle down in the nation. In 1902, he gave women citizens the right to vote in the federal elections. In 1903, he quit the parliament and went on to found the 'High Court of Australia', acting as its justice. 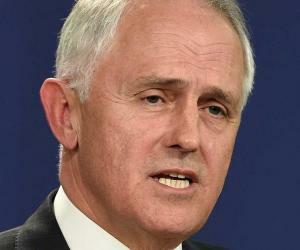 His post as Prime Minister was taken over by his good friend, Alfred Deakin, on September 24. As a judge, Sir Barton was known to have been fair and impartial. Sir Edmund is known for his efforts to unite the self-governed states of Australia, into a united commonwealth, and enhancing the practice of international trade without any restrictions. These federal policies were implemented by this former Prime Minister, and later practised when he resigned and became a judge. In 1900, he was awarded an honorary doctorate in law ('LL.D.') by the 'University of Cambridge'. After three attempts at knighting Sir Barton, he finally obliged in 1902, when he was appointed by the British Government as a 'Knight Grand Cross of St Michael and St George'. He became the first Prime Minister to receive the honour while still in office. In 1905, the great Australian politician received the 'Grand Cordon, Order of the Rising Sun', from the government of Japan. In 1877, the young politician got married to Jane Mason Ross, who he had met in Newcastle. The couple had six children, Edmund Alfred, Wilfrid Alexander, Jean Alice, Arnold Hubert, Oswald, and Leila Stephanie. Sir Edmund succumbed to a heart attack on January 7, 1920, at New South Wales' 'Hydro Majestic Hotel'. This great judge and politician, was buried in the 'South Head General Cemetery', located in Vaucluse suburb. During 1951-69, this former Prime Minister featured on Australian stamps on two instances. 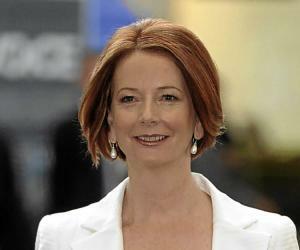 Highways, government buildings, and suburbs in Australia have been named after this revered political leader. They include the 'Barton Highway', which links Canberra to the Hume Freeway, and the 'Edmund Barton Building' which is a government office premise. 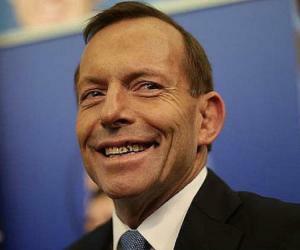 “Toby Tosspot” is the nickname of this famous Australian Prime Minister, given to him by ‘The Bulletin’ magazine.